Ideal for locating underground valve boxes, buried conduit, cables & pipes. Reinforced steel tip for easy ground penetration. Solid 1" non-conductive fiberglass handle bar. Solid 1/2" non-conductive fiberglass rod for increased strength and flexibility. 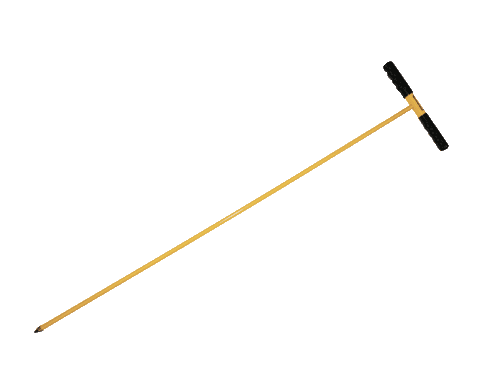 The famous Walking Stick, modeled after our fiberglass poles. Rubber hand grip for comfort and stability. 38" solid 1/2" non-conductive fiberglass rod for increased strength and flexibility.